This past January, Doug Paisley released his third full-length, Strong Feelings, via No Quarter Records. Regular collaborator Garth Hudson returns on the piano, along with Emmett Kelly, Robbie Grunwald and Mary Margaret O’Hara. Living up to its title, the album is a poignant collection of warm, subtle country-folk, though it finds Paisley exploring new sonic territories and reaching across genres. 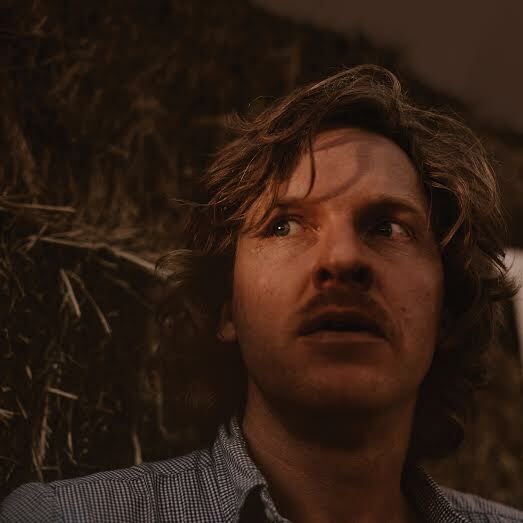 We caught up with Paisley over the phone, from his home in Toronto, and discussed his new approach for recording this record, the importance of narrative and, of course, Neil Young. Aquarium Drunkard: I understand, with this album, you took a lot more time and had a lot more people involved than you have previously. What spurred this new approach? Doug Paisley: The last few recordings I’ve done, prior to this one, were done very quickly; live in the studio in one day or so. I guess I wanted to not keep doing the same thing and just see what it would be like to take a little more time and to get more input from more people. So it was kind of curiosity and also just being able to do that too. In the past, there have been constraints that sort of force you to only spend a day in the studio, financial and otherwise, so this was a bit more of an opportunity. AD: Did you enjoy that process? Doug Paisley: I did. I mean, I’ve always found that the fewer options you have, the easier things are and, if you give it some time, whatever you end up making usually ends up sounding right. So, it did mean a little more decision-making. I don’t know if that part helped it all that much, but I did enjoy the process. Being in the studio is a lot of fun. You spend a lot of time songwriting and a lot of time touring and playing and most people don’t get to spend a lot of time in the studio, so it’s kind of a thrill. Like that Metallica movie where they’re in the studio for 700 takes or something. But I think for a lot of artists like me, nowadays, it’s more like a week tops. So, that part was a lot of fun. AD: Would you work that way again? Doug Paisley: I think it depends on the songs. A lot of tunes, when I write them on the guitar and play them on the guitar, they almost feel completely done, you know? And that’s another reason I think the earlier albums were just made a bit more directly or quickly, because I already knew almost exactly what they sounded like. So, I think it would depend what songs I was working with, but I certainly benefited from it so I wouldn’t rule out doing it again. AD: Sonically, the record’s more adventurous than your previous work. The saxophone on “What’s Up is Down,” the soundscape in “It’s Not Too Late,” and the organ feels a bit more prevalent overall as well. Was augmenting the sound something you consciously sought out while writing, or did it come about during the recording sessions? Doug Paisley: Some of these songs, like “Where The Light Takes You” and “It’s Not Too Late (To Say Goodbye)”, they were, in some ways, parts for me that all came together. I think about that thing at the end of “Where The Light Takes You” and to me it sounds like something from “She’s So Heavy” on Abbey Road. It just had that kind of feel when I heard the band playing it and I think of Abbey Road the same way. Like, they had all these weird little ideas like “Polythene Pam” and “Mean Mr. Mustard” and some of the tunes got cobbled together in that way. And some of the songs on this album had a similar thing; in that I had parts and I felt they were complimentary and worked well together and they allowed for more experimentation. You know, I think coming out of folk and country music, it’s often verse, chorus, possibly a bridge and I was trying to tap into some broader and, in some cases, vaguer ideas to put these songs together. AD: So with a song like “What’s Up Is Down,” did you know going into it that it would have this sort of jazz feel to it? Doug Paisley: There was a certain point where I knew I really wanted a saxophone but, you know, a lot of pedal steel players say that whenever someone hires them they always say, “play pedal steel, but don’t play country.” And that’s how I felt about the saxophone. The most obviously thing to do here would be to take a really jazzy approach and I knew Colin Stetson was someone I could rely on to be far more interesting than that. But, it’s undeniable that it has that kind of allusion to that genre. AD: And Garth Hudson’s piano part on there is really interesting too. It takes some unexpected turns. Doug Paisley: It is really interesting. It’s funny, we worked on Glenn Gould’s Steinway and Garth actually wasn’t crazy about that piano. He’s played a lot of different keyboard instruments, and he’s very experimental, and I think a straight-up piano, although he spent a lot of time on one, isn’t really his bread and butter. But that was one tune where I felt like he really went with it. He’s such a broadly knowledgeable guy, and that tune is in kind of a tricky key for piano, but I think he liked that challenge and really rose to the occasion. He’s really in his zone there, just going through the chords. AD: How did the two of you connect? Doug Paisley: We had a few people in common in Toronto. He’s from the Windsor, Detroit area not far from Toronto and I connected to him from seeing him play with Daniel Lanois, who’s also an Ontario guy. Garth opened a show for Daniel one time and it was just phenomenal. We’ve worked together about four or five times now. He’s a really interesting guy to work with, a really fun guy to hang out with and I just feel like anytime you’ve got that chance you take it. AD: What was the approach in terms of how his parts would sound and how his presence would influence the record? Doug Paisley: Basically no direction whatsoever. You know, obviously that’s someone you can really trust to do an amazing job and to come up with something way better than what I might tell him to do. He’s so interesting because he’s definitely not a sideman; he’s such an innovator, yet he’s done so much of that on other people’s recordings. But, you basically give him the charts and hope that he likes it and see what he does. He’s amazing in terms of how much he can play in one take. His left and right hands, it’s like hiring two musicians. AD: “Growing Souls” has a strong gospel feel to it, with the heavy organ presence and the backing vocals. Do you listen to gospel music? Doug Paisley: I love gospel music. I love Pilgrim Travelers, which was Lou Rawls’ early band. I love Sister Rosetta Tharpe and this woman named Lucille Pope. Coming from a bluegrass background, you get pretty comfortable singing Christian tunes, even if you’re not proselytizing. I think, for a lot of people, that’s what prevents them from getting into that. I think a lot of people are scared of it or are just turned off by that message. I also love those Elvis gospel records, like His Hand In Mine. AD: There’s been a really strong reissue culture within that genre lately that I think has helped broaden people’s perspectives on it. Doug Paisley: Yeah, exactly. I was in a record store in Detroit recently and there were some great gospel records. You get all this weird 80’s and 70’s stuff and the players are so good on it. Rosetta Tharpe’s guitar playing is phenomenal. And this guy, Reverend Overstreet, on this Mississippi Records thing, it’s great stuff. AD: “Radio Girl” evokes a sort of lost romanticism and mystery of the radio. How influential was radio to you while you were growing up? Doug Paisley: Well it was my first musical experience that I was aware of, where I could actually control it. You know, you hear your parents’ records in the background but the first time I understood that I could turn this thing on and turn the dial, that’s a pretty amazing thing. It’s pretty defining in terms of your agency and your individuality. Buying records was really defining for me too at a young age. AD: What sort of stuff did you listen to back then? Doug Paisley: I was really obsessed with The Beatles. I was buying their whole catalogue, not really listening to anything else. But I do remember one of the first times I really clued into the radio was hearing Paul Simon’s “Slip Slidin’ Away.” And thee used to be this great show with this guy Elliot Mintz called The Lost Lennon Tapes. It was crazy, I think it was a weekly show, and it was all John Lennon bootlegs. From The Beatles, I got really into Bob Dylan. I also listened to a ton of reggae when I was really young. AD: Do you still turn to the radio at all? Doug Paisley: Well, the Canadian equivalent of NPR is pretty pervasive in our culture; everyone listens to it. So, if I get tired of listening to records I listen to talk radio all the time. I’ve become out of touch with commercial radio though. I used to listen to a lot of country radio in the late 80’s and early 90’s. Everyone likes to gripe about it now and I’m sure there’s some good stuff on there but whenever turn it on, I don’t recognize it at all. But I’m so into records and record collecting, that I’m usually just playing my own choices. AD: On “Old Times,” you say “Sometime it takes a lie to let me know what it’s all about,” something that connects to the idea of finding meaning and perspective in your own life through something like a song or a film, some kind of story. Is that something you feel strongly about, the idea of a narrative or a story to help us define our own lives? Doug Paisley: Yeah, definitely. I was reading this thing about Sherlock Holmes, like the observation of things that you see and the observation of omission. Another thing I was reading the other day, about China in the 50’s, when Communism was first coming in, and it was thing about freedom of speech but also freedom of silence. And in some ways, that was taken away because people weren’t allowed to just keep their mouths shut. They actually had to come out and say, “yes, we love what you’re doing.” I think about it that way, we don’t always attribute the role that the negative plays, in a sort of photographic sense. But, yeah, I think about that with “Radio Girl,” I’ve definitely lived my life and built my world around these songs and this music that I was so invested in. Those are our mythologies and our stories. AD: I read in an interview that you’re really into films from the 70s and early 80s and, among others, the work of Dustin Hoffman. I was wondering if you’ve seen his film Straight Time? I feel like it shares some ideas that, thematically, you’ve said drive your new album: Survival and Futility among them. Doug Paisley: I just watched that movie not too long ago. I have a friend who’s a real DVD collector and he knows about that whole era. For me, I love the places they go into and I love those male character actors. I was thinking recently about who you unconsciously identify with when you’re reading or watching a story. I’m a little shaky with his character, but there’s also that Punch and Judy kind of thing, the pleasure of watching someone else’s folly. With that movie, you’re just watching the trouble coming. That’s one of the reasons it’s fertile ground. I think people try to be a little more positive with their subject matter, but I think you can have overarching optimism or good attitude on life but still delve into the stuff that isn’t necessarily rosy. That’s a combination that I identify with. AD: Were you listening to anything in particular while this record was coming together? Anything that may have colored the record in some way, consciously or subconsciously? Doug Paisley: I got pretty into Ted Hawkins in the last few years. He just really goes for it with his singing and that’s something I’m trying to get more into, pushing my voice a little bit, because I’ve always liked those relaxed country crooners, like Don Williams and George Jones. You kind of settle into your exact range and your keys and all that. I love Percy Sledge too. I feel like he’s this slightly less legendary soul guy. “When A Man Loves A Woman” is a big hit but his whole catalog from that period blows me away. There’s so much power there and he contains it all so well. There’s also this band from Quebec called Harmonium, they have one album and the instrumentation is pretty inspiring. Also, that These Trails album that Drag City reissued. I love that album. I’ve been getting outbid on eBay for an original copy for years. Nowadays, there’s certain buttons you could push and people will say, “oh, psychedelic” or “folk-rock,” and I like that these people weren’t really trying to do that, they just were doing it. AD: What are you listening to now? Doug Paisley: Right now I’m really into Lee Perry. I’ve been buying all his albums. I like the whole body of work and what I imagine his attitude to be. There’s something so free about it and he did stuff as serious as the early guys. He’s just had such a fascinating career and he seems like he’s burned through all the shackles and the constraints, he just seems so free. He transcends reggae too, which I think is so cool. AD: I noticed you currently aren’t touring behind this record. Doug Paisley: Well I’m playing some shows in May with Gord Downey and I think I’ll start touring then. AD: You did play one show in New York last month, at Joe’s Pub. How did that go? Doug Paisley: That was really great. I’d never been there before; it’s a beautiful room. AD: What brought that standalone show about? Doug Paisley: It was just suggested by my booking agent. I’ve actually played some very desperate shows in New York. I opened for Bon Iver once at Radio City, which is like the biggest venue, and then I’ve played at some weird, tiny places in Brooklyn. So it’s just kind of been all over the place in New York and Joe’s Pub seemed like more of a grounded starting point. You know, you cant necessarily decide who listens to you or why, but I like places where people can listen and I have more of an opportunity to communicate. A lot of bands feel like there’s a rock club circuit that they don’t necessarily belong in but it’s sort of the default. So, this place was definitely a nice antidote to that. AD: Lastly, you recorded a great cover of Neil Young’s “Out on the Weekend” a few years back. Do you have a favorite Neil Young album? Doug’s voice cures most ailments.